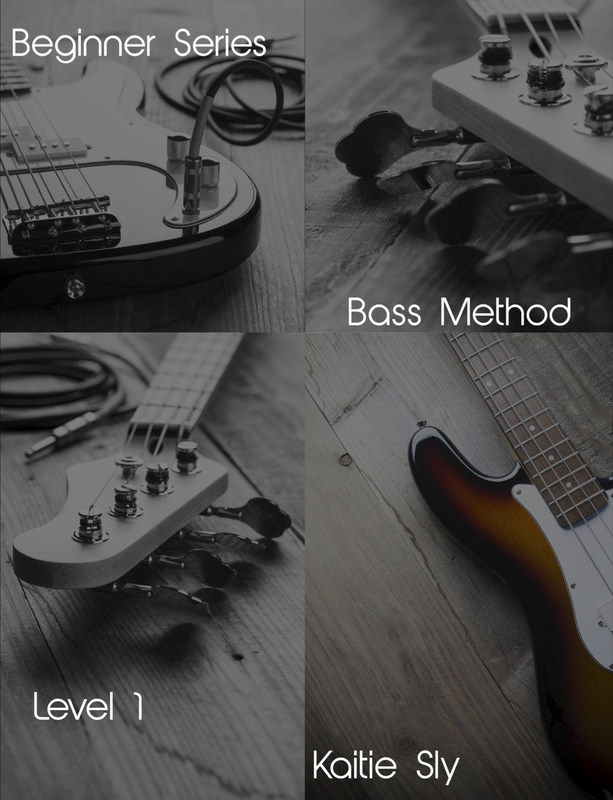 The Bass Method is a collection of 6 volumes. "This a very good and solid beginners book with some very useful information for a beginning bassist. Chock full of basic and interesting subject matter for a new student to progress and build a strong foundation for their future study." ​"The Beginner Series: Bass Method by Kaitie Sly covers the fundamentals you'll need to start on your journey towards mastering the bass. I recommend this instruction because the language is at ease, and makes learning such a fun and versatile experience. As a member of the rhythm section, I know first-hand, how the bass helps to drive the band and define the harmony for the song. These books get you started on the right path to reading music as well. They also provide a good foundation on how to practice, and are versatile enough for all ages to understand." ​"Kaitie has written a comprehensive series for the beginning bass student. She has covered the most basic things such as tuning the bass all the way to theory, ear training, and everything in between. These books are great for the student that wants to develop all aspects of their playing! Having all of this diversity in a series is rare, and a nice change from the usual instructional book! Reading through these books is engaging and educational. Kaitie has you going though different styles all throughout. This makes learning much more fun and interesting. I love that most of the written examples have the chords written above so a fellow student or instructor can play along. What a great way to start creating music! These books are great for a student that is learning on their own or that has a private instructor. They are in depth, but not confusing for the beginner. I would recommend these books to any beginning-intermediate bass student." "The Bass Method: Beginner Series is a strong foundational presentation that will support the beginning bassist. The instrument (and its parts), music terminology, posture, hand position, music theory basics as well as notation reading, rhythm and playing technique concepts are introduced and applied in this series. The pacing and explanations of the topics makes these books beneficial for the self-study student as well as a text for instructor with student lessons.​"
​"I have known Kaitie as my student, and now as an author. I know that her method book will make it easy for new students of the bass to understand and begin their study of the instrument."